This name uses Spanish naming customs: the first or paternal family name is Aimar and the second or maternal family name is Giordano. Pablo César Aimar Giordano (Spanish pronunciation: [ˈpaβlo aiˈmaɾ]; born 3 November 1979) is a retired Argentine professional footballer and current coach of the Argentina national under-17 football team. An attacking midfielder, after starting his senior career at River Plate in 1996, he amassed La Liga totals of 215 games and 32 goals over eight seasons with Valencia and Real Zaragoza between 2001 and 2008, before spending five years in Portugal with Benfica, winning nine major titles between the three teams. Born in Río Cuarto, Córdoba, Aimar's football career begun in earnest when he was offered the chance to play for Estudiantes de Río Cuarto by youth coach Alfie Mercado. He trained with the club's academy three times a week and it was there that he was spotted by River Plate who offered the chance to join their own academy. Aimar's father initially prevented him from joining River as he felt he was too young to be playing football, but relented after manager Daniel Passarella personally asked him to allow his son to play. Having turned down the opportunity to attend medical school to pursue a career in football, Aimar made his debut for River on 11 August 1996 against Colón. His first goal for the club came on 20 February 1998 against Rosario Central. Aimar lifted five titles with River between 1996 and 2000, scoring 21 goals and recording 28 assists in 82 league appearances for the club, with his final appearance coming on 17 December 2000 in a 3–2 loss to Lanús. In January 2001, Spanish La Liga side Valencia signed Aimar from River for a club-record fee of €24 million (£13 million). He made his debut for the club the following month against Manchester United and drew praise from three-time Ballon d'Or winner Johan Cruyff for his performance after the match. The following weekend he scored on his La Liga debut, netting in a 2–0 away win over Las Palmas. Aimar immediately became a key figure in Valencia's midfield under Rafael Benítez and helped the club reach the 2001 UEFA Champions League final, where they lost to Bayern Munich on penalties. In the season which followed, Aimar appeared in 33 league games and scored 4 goals as Valencia were crowned 2001–02 La Liga champions for the first time in 31 years, ending as the club's third-highest goalscorer across all competitions for the season. The season thereafter, Aimar jointly topped the Champions League assists table alongside Rui Costa of Milan with five assists to his name, this despite Valencia being eliminated at the quarter-final stage. The club endured further disappointment by ending the league season in fifth place. The club's failures were soon forgotten, however, as Valencia completed a league and UEFA Cup double the following season. Despite making more than 30 appearances for the season and playing an influential role in the club's UEFA Cup triumph, Aimar was sidelined for large parts of the season in what was to set an injury-plagued tone to his career. Following a breakdown between Benítez and Valencia's sporting director Jesús García Pitarch, the former left his position at the club and was replaced by Italian manager Claudio Ranieri for the 2004–05 season. A combination of injury concerns and tactical changes from the manager saw Aimar struggle under Ranieri and found himself being as employed as a substitute more frequently than before. The Italian departed the club in February and was replaced by Antonio López, who in turn was replaced by Quique Sánchez Flores for the following season. With Valencia in decline, Aimar decided to leave the club at the end of the 2005–06 season having amassed over 200 appearances for the club over the course of five-and-a-half seasons. In the summer of 2006, Aimar joined fellow top flight club Real Zaragoza on a four-year deal for a reported fee of €11 million, with the club describing the deal as the most important signing in the club's history. At Zaragoza, he was reunited with compatriot and former Valencia teammate Roberto Ayala, who himself had joined the club earlier in the month. Aimar made his league debut on 27 August in a 2–3 away loss against Deportivo de La Coruña and went on to make 32 appearances across all competitions, scoring five goals and helping the club to a sixth place finish in the league. The following season was a disastrous one for Aimar and Zaragoza as the club, fraught with poor performances and financial mismanagement were relegated from La Liga. Zaragoza's relegation saw Aimar bring an end to his time in Aragon, having made 57 appearances during his two-season stay with the club. During his stint with Zaragoza, he obtained dual-Spanish nationality, having lived in the country since 2001. On 17 July 2008, Aimar signed a four-year contract with Portuguese side Benfica for a fee of €6.5 million. After struggling with injuries initially, he finished the campaign with a string of strong performances and was able to add a Taça da Liga title to his name. In the 2009–10 season, Aimar was reunited with former River Plate teammate Javier Saviola, who was let go by Real Madrid following his own injury struggles. The two combined as double trequartista to support striker Óscar Cardozo alongside fellow Argentine Ángel Di María on the wing. The quartet formed the Primeira Liga's most dangerous attack, with Benfica scoring 78 goals on their way to a league and cup double. Aimar had become a fan favourite at the Estádio da Luz but injuries continued to plague him, and his game time reduced in the coming seasons. In spite of this, he helped the club to its third and fourth consecutive Taça da Liga titles. On 6 June 2013, after 179 official appearances, 17 goals and 34 assists, Aimar announced he was leaving Benfica and thanked the club for "five wonderful years". On 7 August 2013, Tunku Ismail Ibrahim, the president of Malaysian club Johor Darul Ta'zim, confirmed that Aimar had signed a two-year contract with the team. Upon arrival, he became the highest paid player ever to feature in the Malaysia Super League. He made his debut in the league six months after signing, in a 2–0 win against Perak FA. Prior to making his debut, Aimar had previously played at the Larkin Stadium, home of Johor, before with Argentina in the 1997 Youth World Cup. He ultimately made 8 appearances for the club and scored two goals before a spate of injuries resulted in him being released on 21 April 2014. Aimar did earn a champions medal for his time with JDT, though, as the club went on to lift the Super League title at the end of the season. 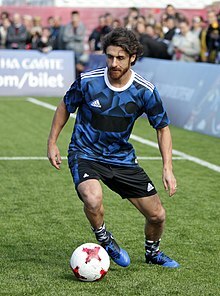 On 5 January 2015, Aimar returned to River Plate for the club's pre-season training, stating that he would sign with the club only if he could deal with the physical demand after having undergone surgeries to his heel and not having played since leaving Johor Darul in April 2014. On 31 May, he played as substitute in a home win against Rosario Central in the Primera División. Aimar announced his retirement on 14 July 2015 after River Plate coach Marcelo Gallardo informed him that he was not included in the club's squad for the semi-final stage of the Copa Libertadores. Gallardo said Aimar was "suffering" and had struggled with injuries through the pre-season. On 16 January 2018, Aimar played in a friendly match for his youth club Estudiantes de Río Cuarto. After the match, he announced that he would be joining the squad ahead of the Copa Argentina fixture against Sportivo Belgrano on 23 January, in order to fulfill his wish of making an official appearance for the club where he began and spent eight years. The Copa Argentina match took place at Estudiantes' home stadium Estadio Ciudad de Río Cuarto. Aimar was picked in the starting line up and wore the captain's armband, coming close to opening the score with a shot that was parried by the goalkeeper, before getting subbed off in the 50th minute. The match ended in a goalless draw, which was not enough to see Estudiantes through the next round after a 2–1 loss in the first leg. His brother Andrés was also in the line-up of Estudiantes. Afterwards, Aimar confirmed that he had no intention of making a definitive comeback and that this was indeed his farewell match from football. Aimar first represented Argentina at youth levels. Along with future senior team players Esteban Cambiasso and Juan Román Riquelme he won the 1997 FIFA World Youth Championship and went on to earn 52 senior caps following his debut in 1999, scoring eight international goals in total. He represented Argentina at the 1999 and 2007 editions of the Copa América, at the 2002 and 2006 FIFA World Cups, and at the 2005 FIFA Confederations Cup. In the 2002 World Cup, for which he was picked ahead of Riquelme, Aimar appeared against England, subbing in for Juan Sebastián Verón in the 1–0 loss, which led coach Marcelo Bielsa to start him against Sweden at the latter's expense. Aimar scored the last goal of the 2005 FIFA Confederations Cup during Argentina's 4–1 loss in the final to champions Brazil. He also appeared with the national side in the 2007 Copa América, scoring a goal in a 4–1 win against the United States in his team's opening group match of the competition; Argentina went on to reach the final of the tournament, losing out to Brazil once again, this time 0–3, with Aimar coming on as a second-half substitute for Cambiasso. After several months in the sidelines, Aimar received another international callup in October 2009, for decisive 2010 World Cup qualifiers against Peru and Uruguay. In the match against the former he repaid the faith placed in him by coach Diego Maradona, assisting Gonzalo Higuaín for Argentina's opener with a through ball, in an eventual 2–1 win. An elegant, technically gifted, and creative attacking midfielder, with a small frame, Aimar was a right-footed player, with vast array of skills and an eye for goal. He excelled in a free role as an advanced playmaker, where he was best able to utilise his dribbling skills, vision, and passing ability to create chances for team-mates and orchestrate attacking moves. His skills and playing style saw him earn comparisons with Diego Maradona in his youth. Due to his talent and flamboyance, he was given the nicknames El Payaso (the clown) and El Mago (the wizard) throughout his career. As a youth, compatriot Lionel Messi stated in 2002 that Aimar was one of his biggest influences as a player. In addition to his playing ability, Aimar also drew praise for his leadership qualities; however, despite his talent, he struggled with injuries throughout his career. Aimar was appointed as coach of the Argentina national under-17 football team in July 2017. Aimar's younger brother, Andrés, is also a professional footballer and a midfielder. He represented several teams in his country – starting his career at River Plate – also playing for a few months in Israel. Argentina score listed first, score column indicates score after each Aimar goal. ^ a b c d e f g h i j k l m n o p Saleem, Omar (12 May 2017). "Pablo Aimar: The Elegant Magician who Inspired a Generation". These Football Times. Retrieved 9 January 2018. ^ a b c d "Tras casi 15 años, Aimar vuelve a vestir la casaca de River". Goal Argentina (in Spanish). 29 May 2015. Retrieved 2 September 2016. ^ Shams Al-Deen, Abdullah (16 June 2009). "Where In The World Is Pablo Aimar?". Goal US. Retrieved 1 September 2016. ^ a b c d e Brassell, Andy (6 April 2010). "Benitez welcomes former protege Aimar to Anfield". ESPN FC. Retrieved 3 February 2015. ^ Davies, Christopher (19 February 2001). "Aimar aims for immediate impact". The Telegraph. Retrieved 3 March 2015. ^ Hunter, Graham (23 September 2004). "Aimar's divine improvisation". UEFA. Retrieved 30 September 2016. ^ "Aimar adds zest for Zaragoza". UEFA. 29 July 2006. Retrieved 5 September 2016. ^ "Ayala será jugador del Real Zaragoza". Real Zaragoza (in Spanish). 14 July 2006. Archived from the original on 11 August 2007. Retrieved 5 September 2016. ^ Rainbow, Jamie (27 July 2011). "Real Zaragoza: where did it all go wrong?". World Soccer. Retrieved 5 September 2016. ^ "Aimar jura la Constitución y será jugador comunitario". El Periódico de Aragón (in Spanish). 14 June 2007. Archived from the original on 26 September 2007. Retrieved 5 September 2016. ^ a b Marcotti, Gabriele (20 April 2010). "Portugal's Benfica Helped by Reunion of River Plate Teammates". Wall Street Journal. Retrieved 3 February 2015. ^ Cox, Michael (2 March 2010). "Benfica – the most attractive side in Europe?". Zonal Marking. Retrieved 3 February 2015. ^ "Pablo Aimar despede-se do Benfica: "Foram cinco anos maravilhosos"" [Pablo Aimar says goodbye to Benfica: "I had five wonderful years"] (in Portuguese). A Bola. 6 June 2013. Retrieved 6 June 2013. ^ Afiq, Nik (7 August 2013). "Tunku Ismail Ibrahim has confirmed that the former Benfica player, Pablo Aimar, will join Johor Darul Takzim next season". Goal. Retrieved 10 August 2013. ^ "Football: Johor Darul Takzim sign Aimar in biggest-ever deal in M'sia for foreign player". Straits Times. 14 September 2013. Retrieved 5 September 2016. ^ a b Zainal, Zulhilmi (18 January 2014). "Johor Darul Ta'zim 2–0 Perak: Southern Tigers overcome defensive Seladangs". Goal. Retrieved 22 April 2014. ^ "JDT axe under-par Argentine Aimar". The Star. 21 April 2016. Retrieved 5 September 2016. ^ "Aimar: I am anxious to play but I need to be in form". Buenos Aires Herald. 6 January 2015. Retrieved 12 January 2015. ^ "River Plate vs. Rosario Central - 31 May 2015 - Soccerway". int.soccerway.com. ^ "River Plate's Aimar announces retirement". FourFourTwo. 14 July 2015. Retrieved 16 July 2015. ^ "Pablo Aimar vuelve al fútbol para cumplir una cuenta pendiente". Clarín (in Spanish). 16 January 2018. Retrieved 17 January 2018. ^ "Estudiantes Río Cuarto Vs. Sportivo Belgrano 0 - 0". Soccerway. 23 January 2018. Retrieved 24 January 2018. ^ "La noche del adiós: Pablo Aimar se despidió como futbolista en su querido Estudiantes de Río Cuarto". La Nación (in Spanish). 23 January 2018. Retrieved 24 January 2018. ^ "Sportivo Belgrano Vs. Estudiantes Río Cuarto 2 - 1". Soccerway. 23 January 2018. Retrieved 24 January 2018. ^ "Pablo Aimar despediu-se com emoção no clube da terra". A Bola (in Portuguese). 23 January 2018. Retrieved 24 January 2018. ^ "Brazil 4–1 Argentina". FIFA.com. 29 June 2005. Retrieved 15 March 2019. ^ "Tevez Nets in Argentina Victory". BBC Sport. 29 June 2007. Retrieved 12 August 2015. ^ a b c d Paul Wilson (16 July 2015). "Pablo Aimar: the Argentinian wizard admired by Maradona and Messi". The Guardian. Retrieved 24 February 2017. ^ a b Akash Swamynathan (15 July 2017). "The brilliance of Pablo 'El Mago' Aimar". www.sportskeeda.com. Retrieved 15 March 2019. ^ a b "The Next Maradonas: Grading 10 of Diego's footballing reincarnations". www.squawka.com. 18 January 2016. Retrieved 15 March 2019. ^ "Juan Roman Riquelme: My +10 team". FIFA.com. 28 June 2006. Retrieved 16 March 2019. ^ "Real Zaragoza 3–0 Gimnastic de Tarragona". ESPN. 19 November 2006. Retrieved 28 December 2012. Argentinian Aimar, who moved to Zaragoza from Valencia over the summer, has struggled to live up to his billing as 'the new Maradona' – one of several players to have been handed that tag – since moving to Spain. ^ "Da "Nuovi Maradona" a "Nuovi Borghi": Pablo Aimar" (in Italian). Il Pallonaro. Retrieved 7 February 2015. ^ "Aimar, Messi's childhood idol". FC Barcelona. Retrieved 7 February 2015. ^ "Pablo AIMAR presented as new U17 Argentina coach - Mundo Albiceleste". www.mundoalbiceleste.com. Retrieved 16 September 2017. ^ "Pablo Aimar: "Cuando hablamos con Andrés le digo que Estudiantes va a salir de esta situación"" [Pablo Aimar: "When i talk with Andrés i tell him that Estudiantes will turn things around"] (in Spanish). Telediario Digital. June 2011. Retrieved 22 April 2014. ^ "P. Aimar". Soccerway. Retrieved 22 April 2014. ^ "Pablo Aimar". WorldFootball.net. Retrieved 15 March 2019. ^ "Galardões Cosme Damião distinguem Chalana e Aimar" [Galardões Cosme Damião distinguish Chalana and Aimar]. SAPO Desporto (in Portuguese). 28 February 2012. Retrieved 1 March 2016. This page is based on the Wikipedia article Pablo Aimar; it is used under the Creative Commons Attribution-ShareAlike 3.0 Unported License (CC-BY-SA). You may redistribute it, verbatim or modified, providing that you comply with the terms of the CC-BY-SA.